How many of us actually take the time to open up our pets’ mouth and have a good look inside? If we did, we might well be greeted with something far from pleasant. 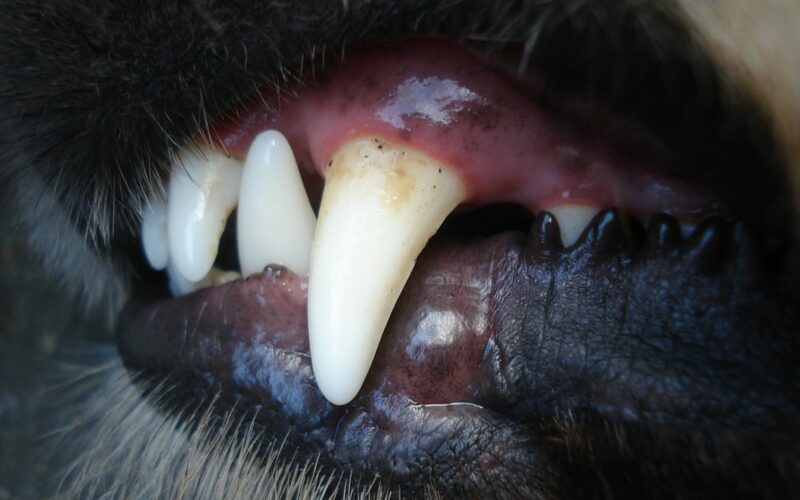 From the age of three, cats and dogs start to develop dental disease to varying degrees. We may see red gums (gingivitis), a thick build-up calculus and even some loose teeth. We may also notice a foul and putrid smell, thanks to the high levels of bacteria that have been building up over time. Sadly, our pets are not able to tell us when they have tooth ache. Instead, they plod along, coping as best they can. While some assume that an animal with bad teeth would stop eating, this is actually far from the truth. In fact, animals will continue to eat for as long as they possibly can, trying hard to ignore the inevitable pain. This is a survival mechanism that is left over from their time in the wild, and one which often means necessary dental treatment is delayed. So, even if your animal is still finishing their meals, don’t assume all is well. Subtle signs may help to clue us in that not all is well. Some animals will start to favour wet food rather than dry food, while others may begin to drool. Cats might paw at their face and can even rub it along the ground. If you try to examine your animal’s mouth, they may shy away, reluctant to allow you to look inside because of the discomfort. During every check-up at our clinic, a vet will perform a thorough mouth exam, ensuring the gums and teeth of your pet are in good condition. It is not unusual for a dental cleaning to be recommended during these checks. Cleanings are performed under anaesthetic and allow any caked-on calculus to be removed. This means a good dental exam can be performed and any rotten teeth can be extracted. In some cases, dental X-rays will be performed to get a better idea of what is going on beneath the gum line. After a cleaning, the teeth will be polished, preventing further plaque from accumulating in the future. The best time to implement an at-home cleaning regime is either after a recent cleaning or before any dental disease has been allowed to set in. While animals may initially shy away at the idea of you brushing their teeth, there is no better way of keeping those pearly whites sparkling. For most, a small toothbrush or finger brush can be used. Pet tooth paste is available which comes in flavours such as beef and fish, making the experience more bearable. Initial sessions may only last a few seconds, but over time, your pet should begin to tolerate brushing sessions that last 60 seconds. Ask our clinic staff for a demonstration to get you started. Simply give us a call and arrange an appointment if you would like to have your pets mouth assessed today!